The bonus track from Kid Cudi’s album that dropped today, Man on the Moon II: The Legend of Mr. Rager. 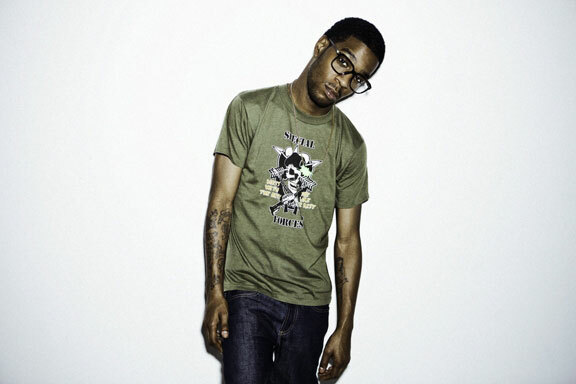 It sounds like Cudder is speaking directly to all of his fans and naysayers, telling them “Maybe, I’m not exactly what you want me to be.” Everyody’s talking about his new album and which direction he’s going in – whether he’s staying true to his dark and lonely stoner roots or if he’s edging toward Kanye West’s voyage to take over the world one song at a time. Well, he’s laughing in our faces with this one. He is who he is, and he’s running with that. Hats off to him for saying that – maybe we’re all fools for hoping otherwise.